MediPharm Labs Corp (CVE:LABS) (OTCMKTS:MLCPF) reached a decisive new all-time high today, piggy-backing off a strong earnings reaction that arrived late. Investors will take it though, just like they’ve taken a plethora of price gain bounty throughout 2019. Yesterday’s MediPharm Labs Q4 2018 earnings report was expected to produce positive optics, and that’s exactly what happened. The company reported 8-digit revenue of $10.2 million—all incurred after the month of October. This was also up infinity YoY, as MediPharm did not have any operating revenue 1-year ago. Gross profit and adjusted EBITDA are already positive, chiming-in at $4.0 million and $2.1 million, respectively. That’s a lot more than many Canadian LPs with much longer operating histories can claim. These results do not include MediPharm’s intention to supply $35 million of private label purified cannabis oil concentrates. Sales of approximately $27 million worth of cannabis oil concentrate over a 12-month period will commence starting March 2019, so Q1 2019 should get a partial top line bump. The catalyst category was chalk-full of important accomplishments as well. MediPharm Labs signed 4 multi-year tolling agreements with James E. Wagner Cultivation (JWCA), INDIVA Limited, Emerald Health Therapeutics and The Supreme Cannabis Company in 2018. 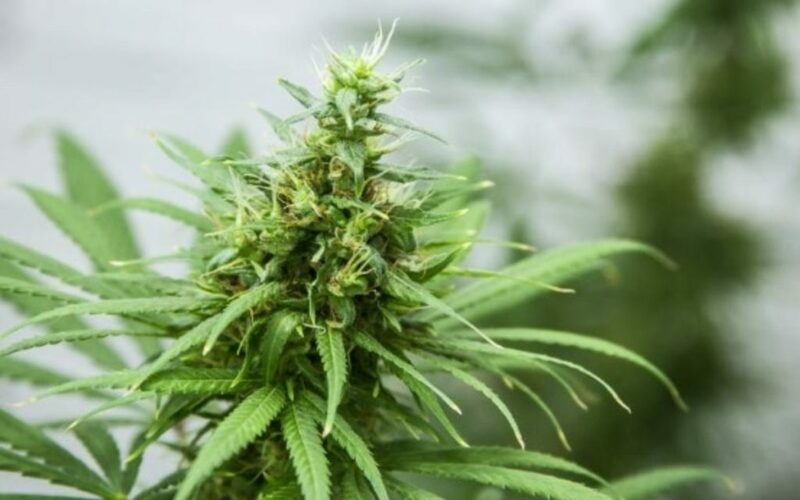 With the former receiving its cultivation license covering a portion of its JWC2 facility in Kitchener last week, LABS future tolling volumes became a little stronger. Now commencing commercial production, JWCA is expected to pump out 30,000kg+/annualized in high-grade cannabis by December (more cannabis, more oil). Turning to today’s price action, the move has been rather convincing. At publishing time, LABS had risen sharply $0.58 to $4.20/share (16.20%). Volume was unusually high, with approximately 2.53 million shares trading hands. The company should easily finish the session with its second highest volume day in history, trailing only its October 4, 2018 TSX-V market debut (4.52 million shares). For the year, LABS is outperforming the benchmark Horizons Marijuana Life Sciences Index ETF (HMMJ) by about 2.75:1 (143.10% vs. 51.98%). Other Canadian cannabis oil leaders such as Heritage Cannabis and Valens Groworks have over-proportionally participated also. With MediPharm Labs firmly entrenched in blue sky breakout territory, anything can happen. The delayed nature of today’s run is testament to that. We congratulate investors who have stuck with the company through & through. Midas Letter will have additional coverage as events warrant.